We have a belief here at 180 Nutrition when it comes to food. Stay away from processed foods, sugar, chemicals and preservatives as much as possible for greater health. By doing this, not only will you look and feel great, you will naturally lose weight and body fat. Combined with a great exercise plan you will be at your best in no time at all. What’s this got to do with a meal replacement? With todays hectic demands and busy schedules, avoiding processed foods, unhealthy meal replacements and junk foods is easier said than done. What if there was a meal replacement that was completely natural? Providing the essential fats, proteins, vitamins and minerals your body is crying out for. A meal replacement you could completely trust. Why is our meal replacement different? Being tired of the conventional protein supplements and meal replacement shakes out there in the supplement market, we at 180 Nutrition decided to do something about it. The video below will explain how our all natural meal replacement is very different to everything else on the market today? You can view our complete list of ingredients here. We have nothing to hide and we’ve even put pictures next to them. Simply mixing 180 Natural Protein SuperFood in your favourite smoothie, will make the perfect all natural meal replacement. 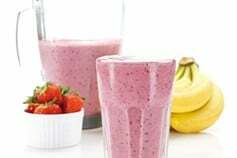 In a blender, combine all the ingredients and blend until smooth. You can sample 180 Natural Protein Superfood here. 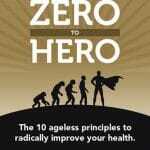 Want to radically improve your health? Our free eBook is here.